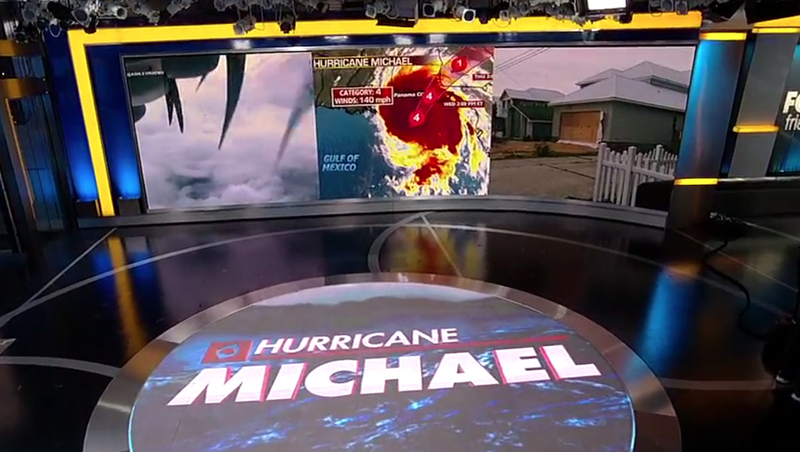 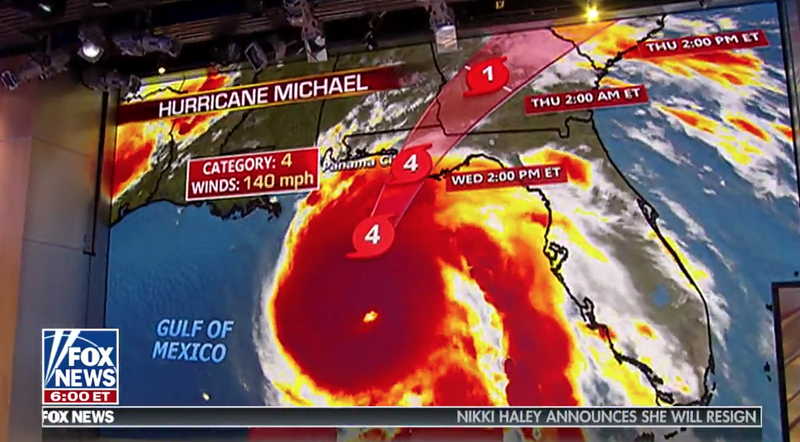 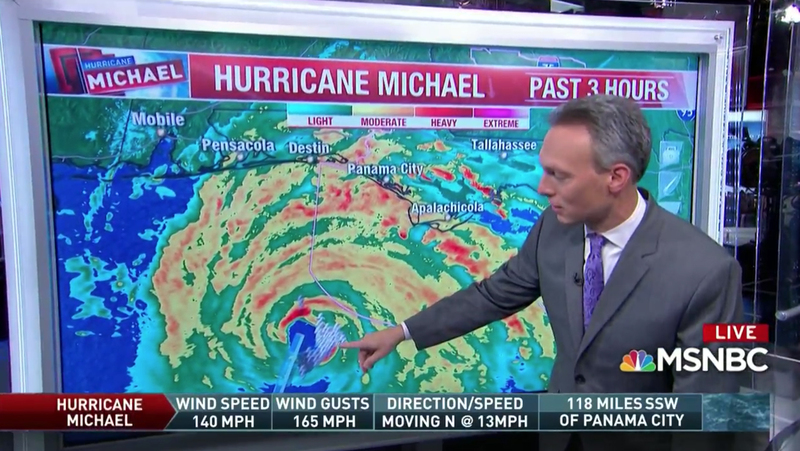 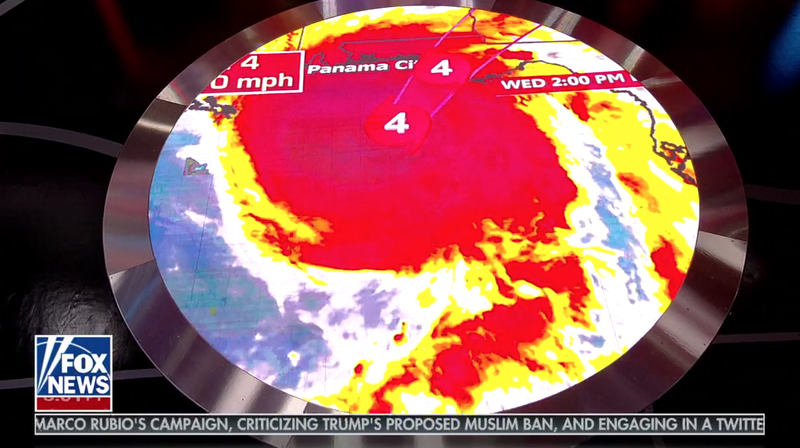 As the network morning shows covered Hurricane Michael extensively, so did cable news. 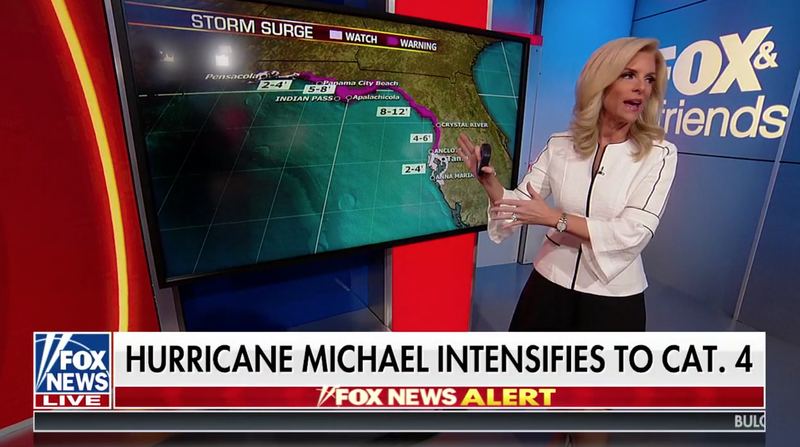 Meteorologist Janice Dean joined the ‘Fox & Friends’ hosts on Studio F’s balcony area, using a video panel to showcase weather maps. 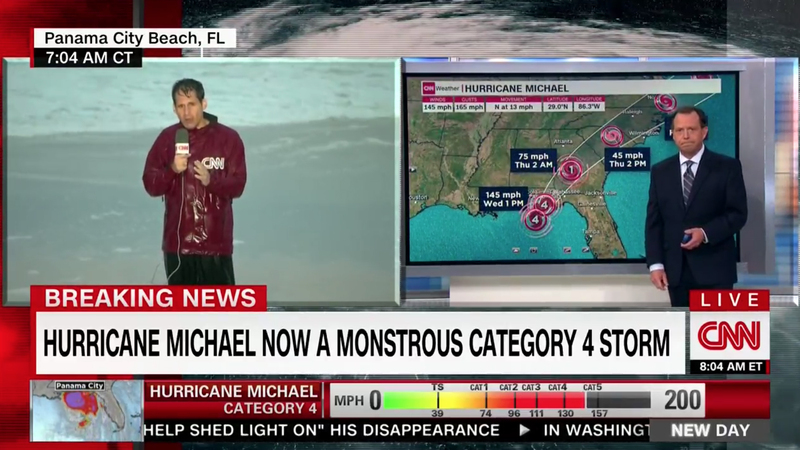 CNN also used its typical hurricane bar with a variety of data. 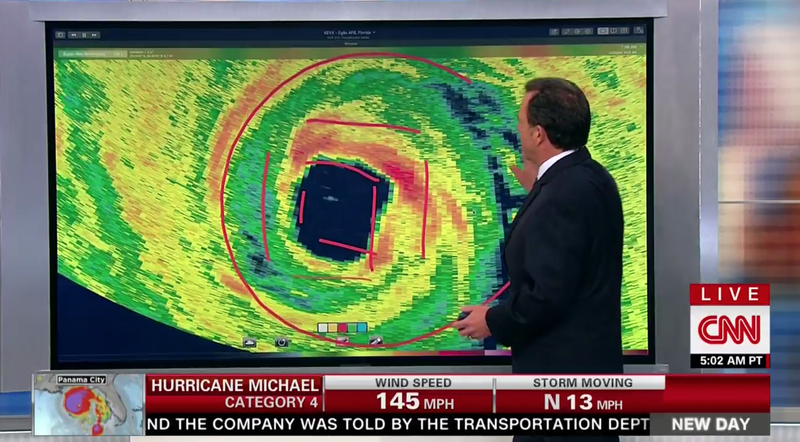 Chad Myers also joined ‘New Day‘ from the network’s weather studio, using the large video panel for weather maps.